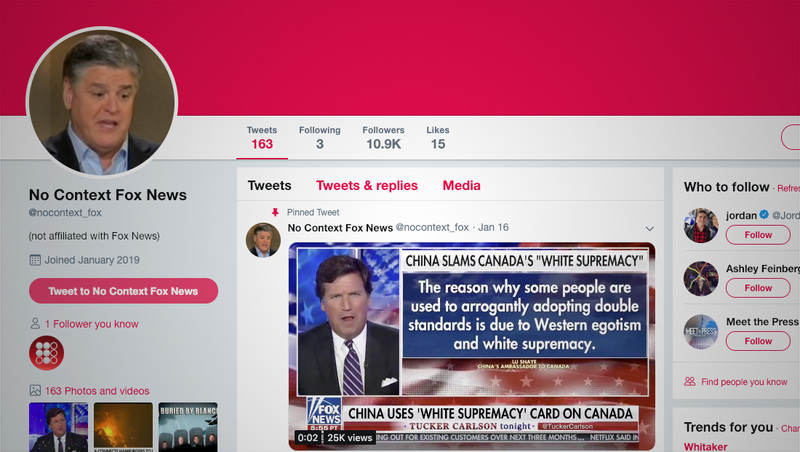 A Twitter account registered in January 2019, @nocontext_fox, regularly posts video clips and stills taken from Fox’s cable channel. Often the images focus on the network’s banner headlines during segments. Like its name suggests, the account offers the images without any context or explanation. In most cases, the banners, on their own, are quite entertaining or, when viewed with the imagery on screen above, are quite funny. The account has, as of this writing, over 10,000 followers, despite only posting 163 tweets. You can following the account here.